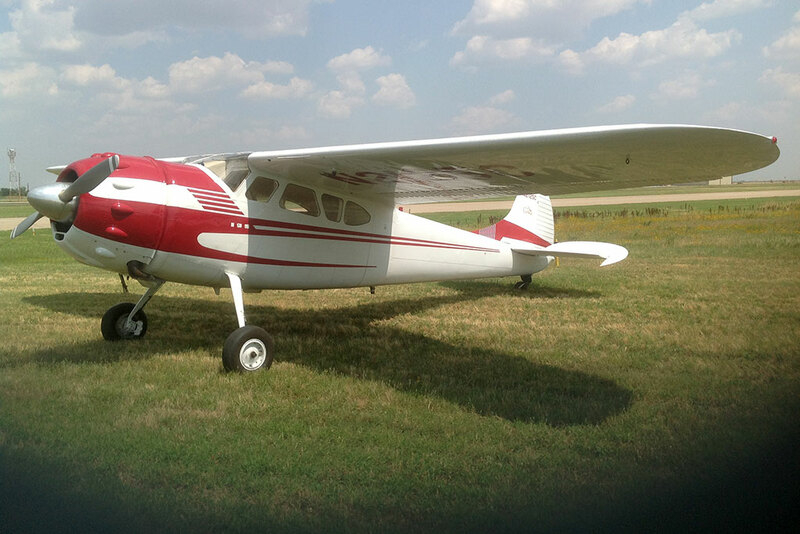 Airframe Total Time: 2,627 Hrs. Airframe Total Time Detail of Calculation: The airframe total time is based on logbook entries from the original date of manufacture to present. Airframe Logbook Inventory and Comments: Four logbooks, (3 aircraft logs, 1 engine log), accompanied the aircraft. The logbooks are complete with no apparent missing pages and legible. 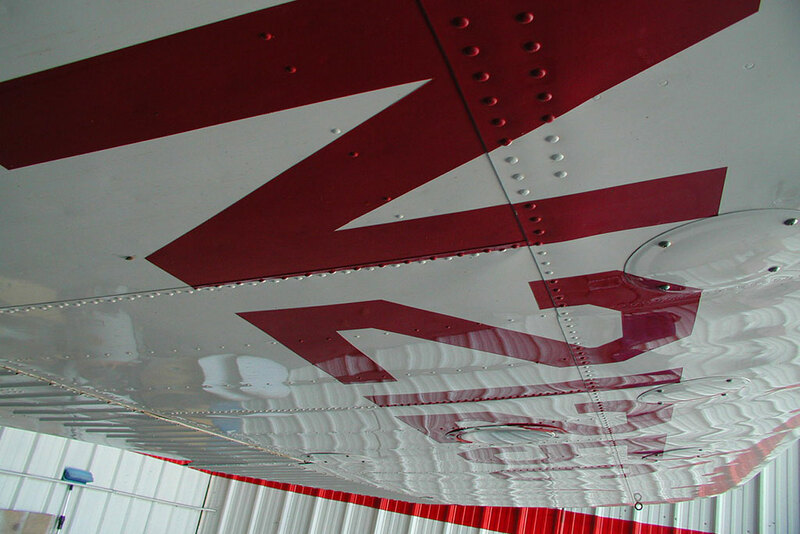 There are some gaps in time between write-ups, which is normal for antique aircraft that may have sat for long periods of time. The weight & balance and AD log are current. Service Bulletin Status: According to logbook entries, service bulletins have been complied with when they apply. Repaint Date: 10/25/2011 Repainted By: Capital Aviation, Inc. 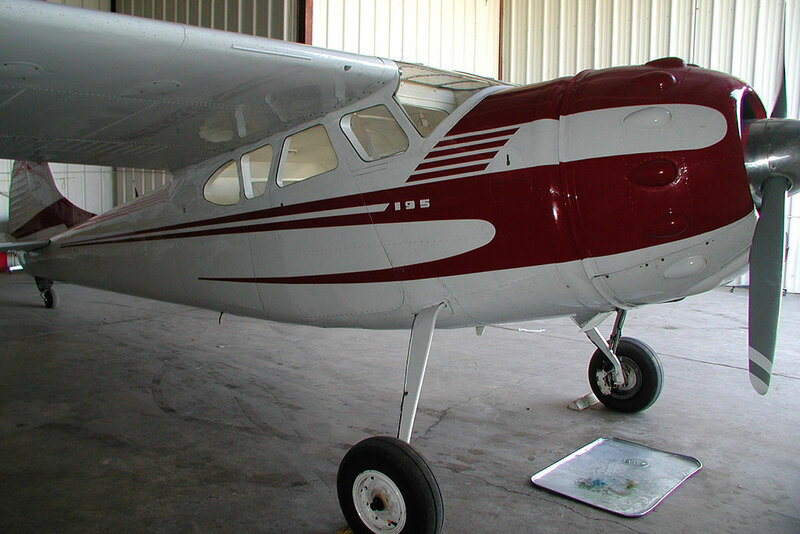 Paint Comments: The paint on this aircraft is less than two years old and other than a single run under the left main gear leg, appears absolutely flawless. It has an extremely high gloss wet look and reflects objects as if looking in a mirror. I looked very hard and could not find one single rivet or screw where the paint has begun to crack off. 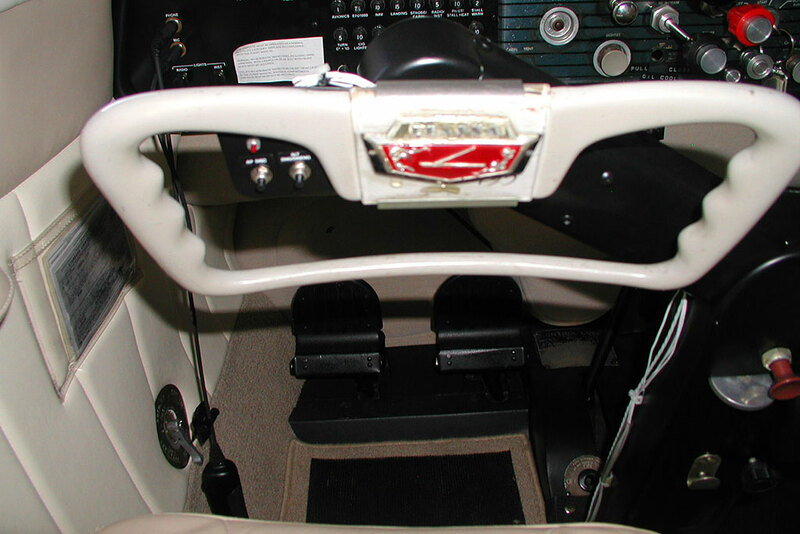 The only few visible paint chips are on the gear legs which is normal for this type of landing gear. They should, however, be addressed to prevent corrosion from starting. 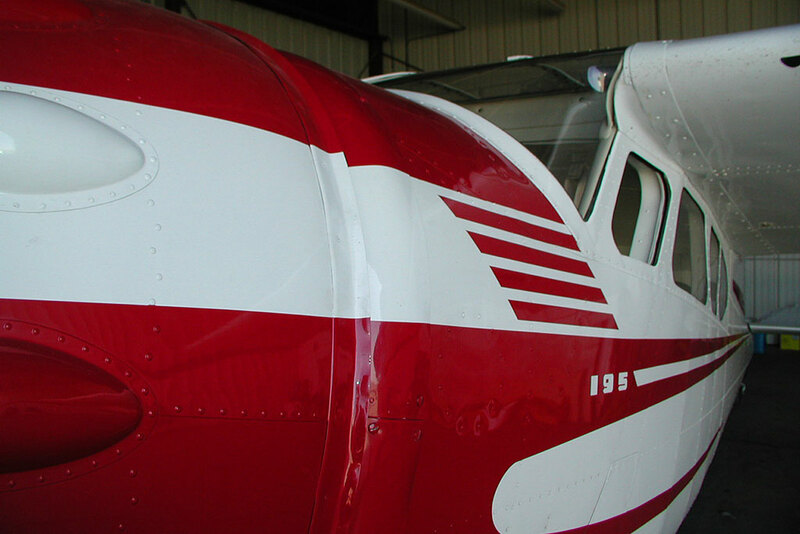 The aircraft is painted with Jet-Glo 570-535 Matterhorn White overall with Acry-Glo 08461 Red Baron red trim color. The flight control surfaces were removed and re-installed after paint. 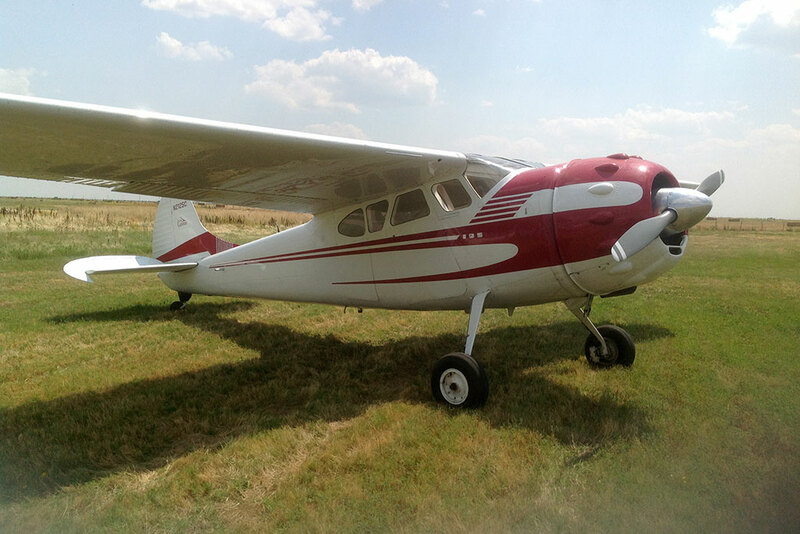 They were balanced in accordance with current Cessna procedures. Interior Comments: Upon inspection, the interior was clean and impressive with absolutely no flaws of any kind. 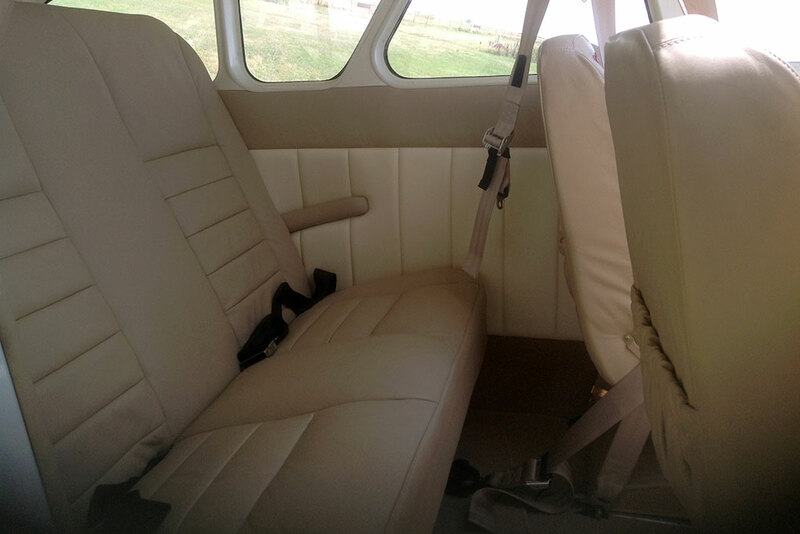 The interior was completely refurbished on 3/19/2012 by Capital Aviation, Inc. The materials used were Tapis 5222 Ultra leather Chablis on the seats, Tapis 3809 Fr-Ultra leather Porcelain on the headliner, Douglass, and LL-3821 Lot 4439 Beige on the sidewalls. The carpet is Wool Tip Shear Khaki JM170. 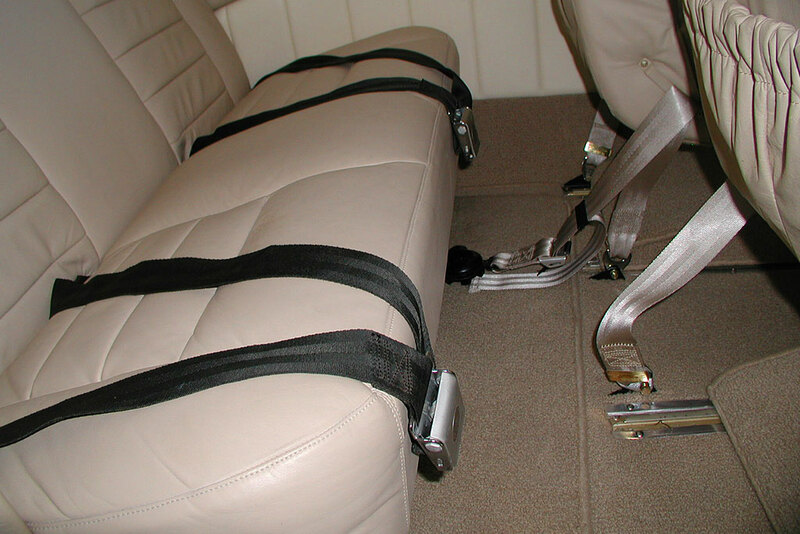 All materials meet FAA burn requirements and the burn certificates are with the logbooks. 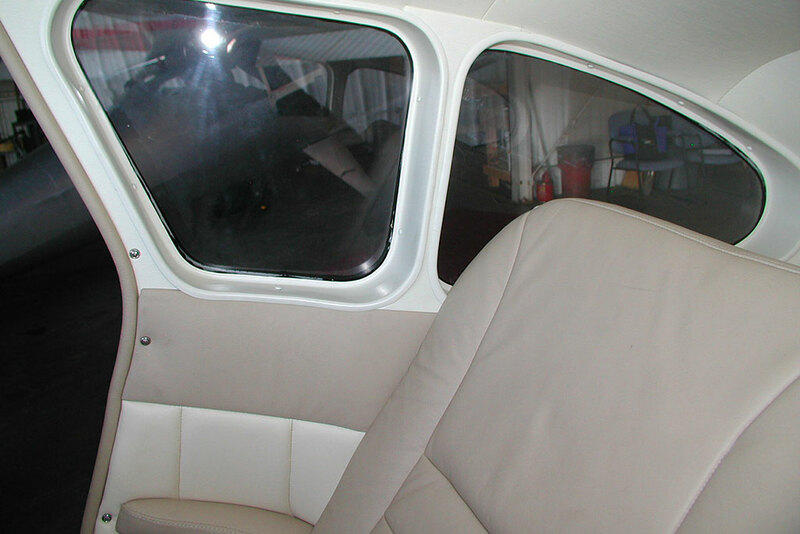 The interior plastic window panels are absolutely perfect with no cracks or even a scratch. All window panels are very clear with no scratches or hazing. Damage event 1: On 6/30/1979 the aircraft flipped over on its back after a hard landing. Damage event 2: On 7/25/1998 the aircraft bounced on landing, hit tail first, ground looped, folded the right main gear and flipped over. 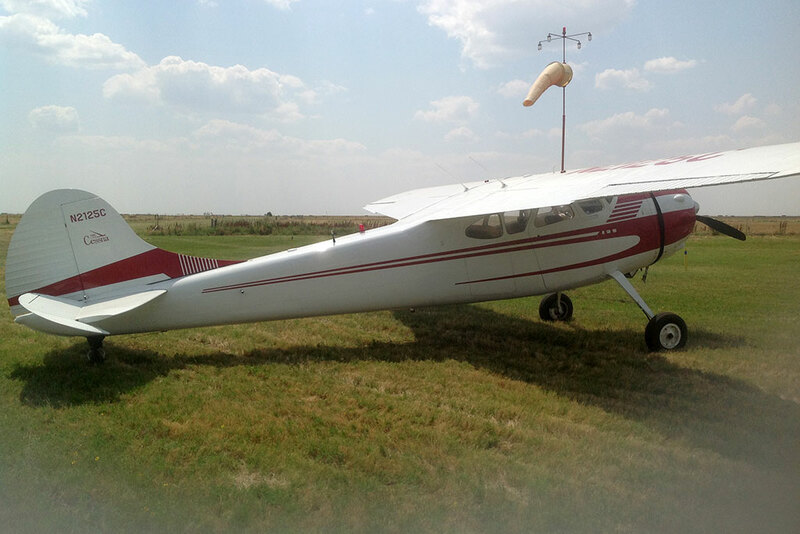 The aircraft was repaired by Butterfly Aviation Inc. in Goodland, Kansas. 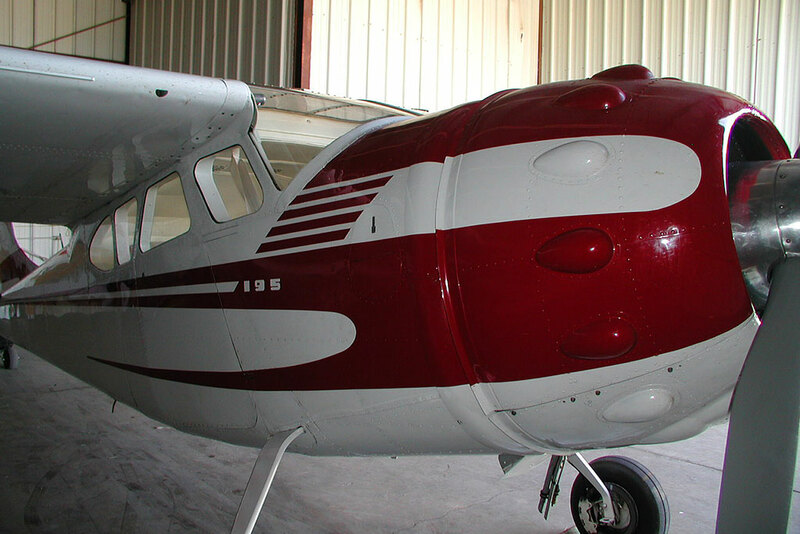 Butterfly Aviation is the premier C-195 repair and re-build facility in the United States..
Engine Type: Piston Recommended TBO: 1400 Hrs. Engine Serial No. : 16442 Engine Total Time: 638 Hrs. 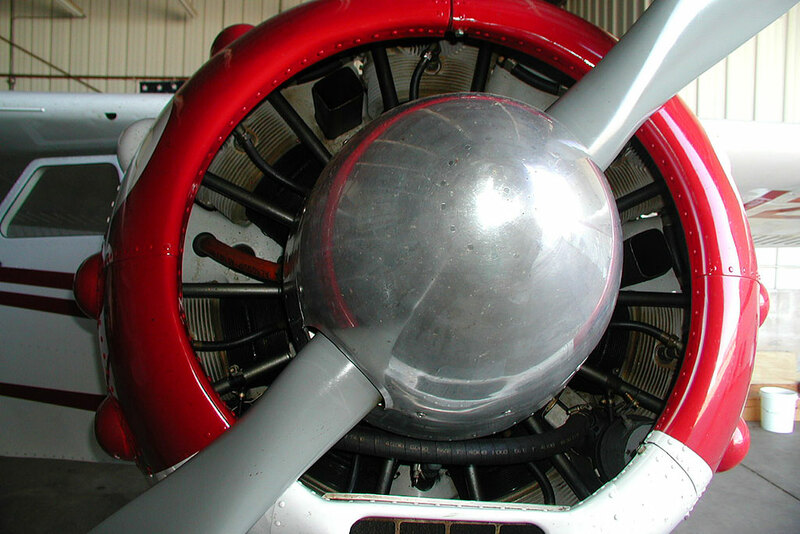 Engine Comments: Only one engine logbook accompanies the aircraft. 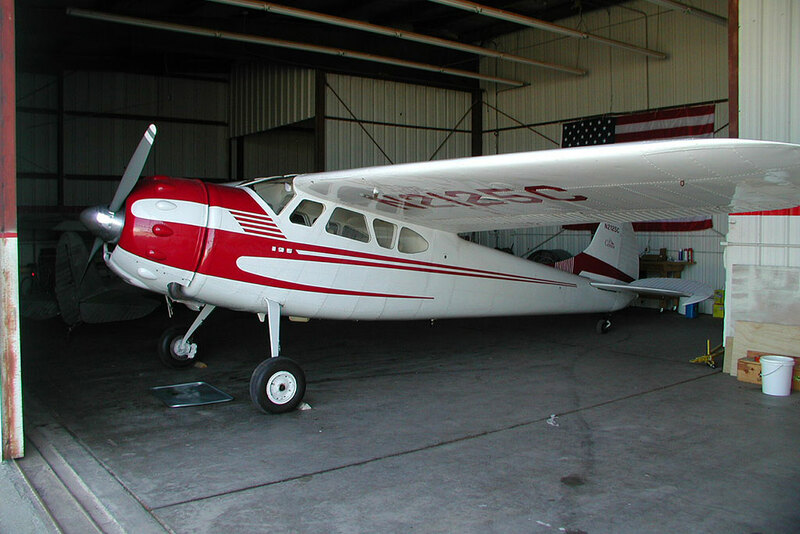 It begins on 2/16/1983 with a writeup for engine disassemble, inspection, repair and reassemble. It does not indicate a complete overhaul of the engine. This work by Jacobs Service Co. Chandler AZ. The total engine time was computed from logbook entries and current tach time. Comments: The panel is in excellent condition, without a single blemish and very well organized. 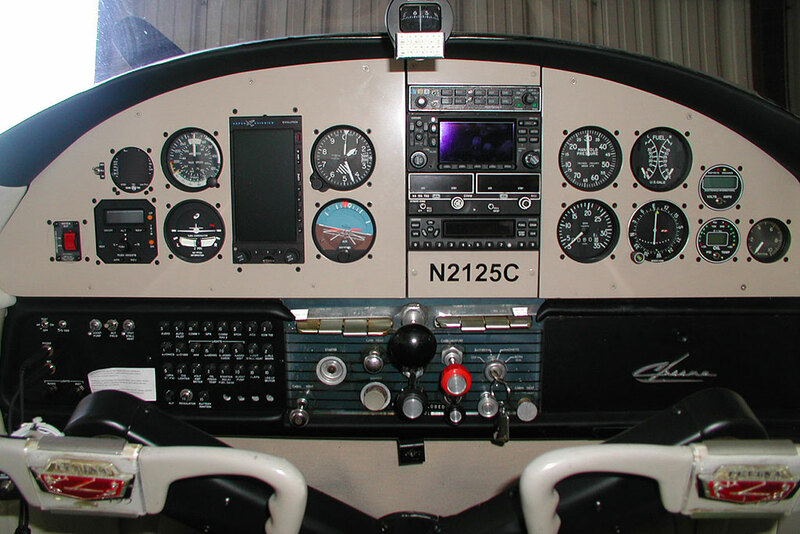 The ergonomics of the cockpit and panel layout are quite good and conducive to comfort on long IFR flights. 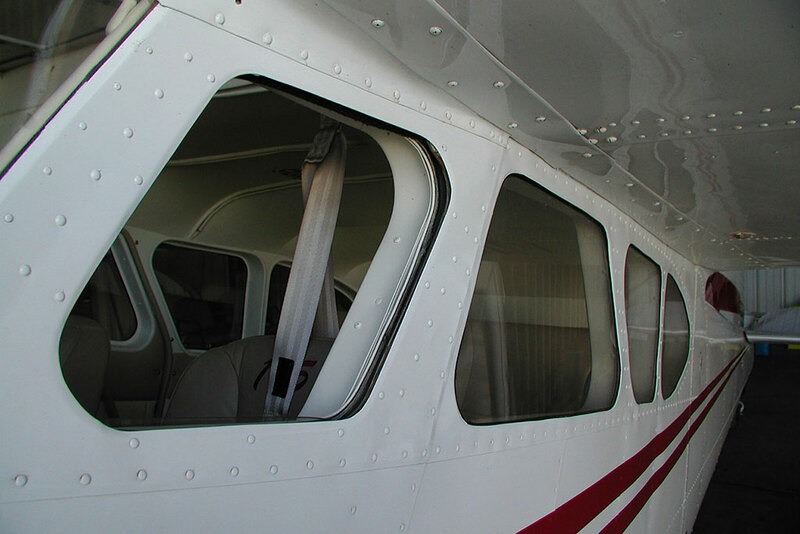 All instruments and avionics are securely mounted with no sloppiness, and no loose or fogging glass. The panel is painted Castle Tan and the control and circuit breaker panel are a coordinating black. 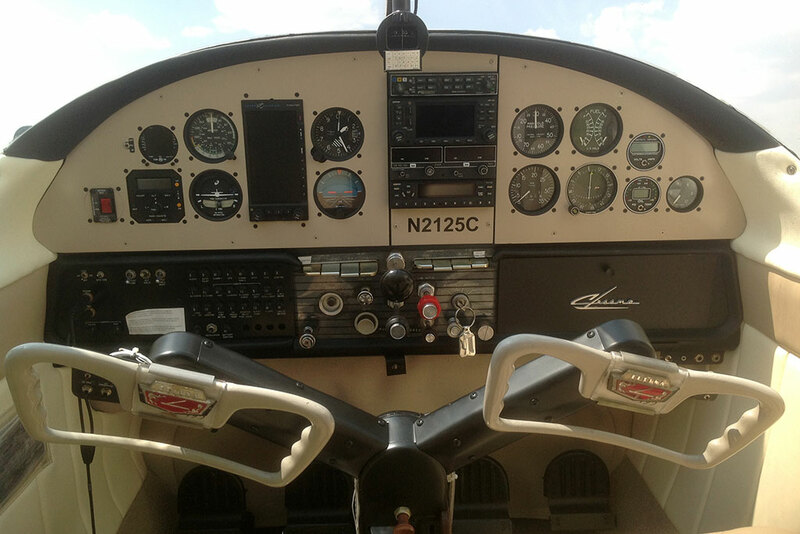 The avionics installed in this aircraft are considered to be Well Above Average when compared to other aircraft of the same make, model, and year.